British Airways has refuted media report that it is planning to stop operations to Nigeria over its $100m trapped in the country. The foreign carrier stated that the publication that it had concluded plans to exit the country was untrue, stressing that it never issued any statement to the media indicating such. A United States based carrier, United Airlines had disclosed last week that it would leave Nigerian route next month over inability to repatriate its ticket proceeds trapped in Central Bank of Nigeria. This has, therefore, fuelled speculations that other carriers might follow suit with a foreign media suggesting in a report at the weekend that British Airways is considering to leave the Nigeria. But the airline clarified in a statement that it has a long history in Nigeria, having begun operations in the country 80 years ago as Imperial Airways. 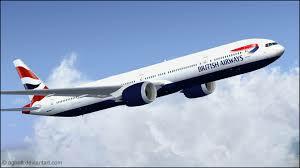 It stated that Nigeria remains a strategic market for the airline, adding that its operations locally are very strong. "We have not issued any statements at any time indicating that we are on the verge of terminating operations in the country. We will continue daily operations into Nigeria", it said.